The perfect spot for nature lovers. NEW carpet throughout the house, large clean kitchen updated with GRANITE countertops, subway tile backsplash, and stainless steel appliances and large sink. 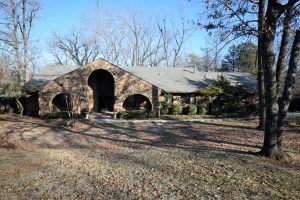 3 bedrooms, including the master with LARGE bath, on the first floor. An open living space, bathroom and 2 bedrooms upstairs. 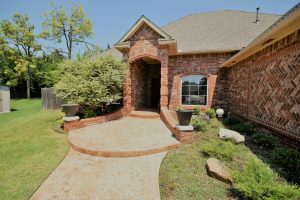 Enjoy the outdoor space and the sound of a concert in the park from your covered patio space or exit your back gate onto the Hafer Park walking trail. 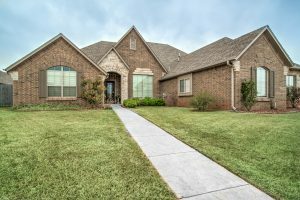 Quality custom home features REAL WOOD floors, 3 bedrooms and a study and 2 bathrooms. Granite countertops and built-in stainless steel appliances. 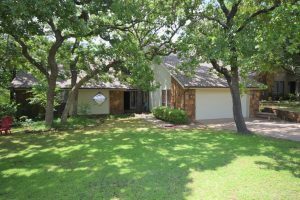 Great large lot with trees and long covered patio. Custom walk-in master shower and custom drawers and large closet. Stylish house set on a beautiful lot in The Oaks. The plush landscaping can be viewed from the street and from the two covered patios and flat deck in the back yard surrounded by new fencing. Step inside and enjoy the detail of the stained glass in the entry and stay warm around the double-sided fireplace. Open kitichen featuring granite countertops. Spacious master bedroom with a sitting area and large closet. Built-ins in secondary bedroom. UPDATED plumbing! Priced to sell. Craftsman style house with custom details. Be impressed by the barrel-vaulted entryway that opens to large living room featuring double crown molding in the tray ceiling, stacked stone fireplace, and hardwood floors. Granite countertops, dark maple wood cabinets and stainless steel appliances in the kitchen along with lots of counter space and storage. Spacious master bedroom, bathroom, and walk-in closet. Arched doorways and deep, rich stain throughout the house. Energy efficient with a smart programmable thermostat. 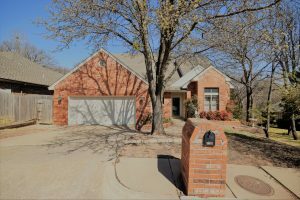 Large covered patio with natural gas hookup for your grill opens to a fully fenced backyard for privacy. The 2 car garage has a built-in storm shelter. Quiet neighborhood cul-de-sac! 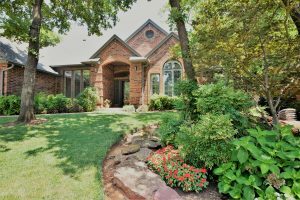 The perfect location with quick access to Edmond shops and I-35. Fridge/washer/dryer stays with acceptable contract. SOLD in Eagle Lake Court in 9 days!!! 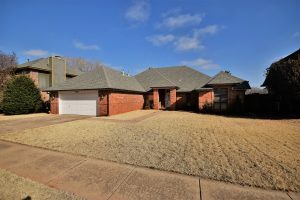 3 bedrooms AND study (with closet), 2 baths and 3 car garage with STORM SHELTER. Kitchen UPDATED with GRANITE and MARBLE backsplash, and newer appliances. HVAC replaced (2013) & NEW H2O tank (2018). Master Bath has UPGRADES including HEATED FLOOR. Roof/gutters in 2016 and NEW carpet 6/15/18. 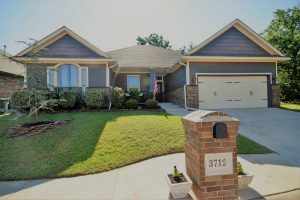 Fireplace, STORAGE, HUGE kitchen island, tiled back deck, sprinkler system, owned alarm system, NEW garage door for 2 car side. Wired for CAT5/2” WOOD BLINDS. Quiet cul-de-sac with no HOA. 3 bed, 2 & 1/2 bath house PLUS a bonus living space with floor to ceiling built-ins. Kitchen and downstairs 1/2 bath updated with granite. 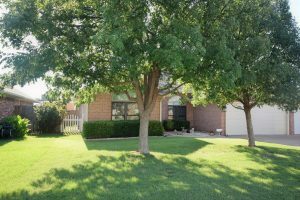 Spacious deck overlooking tree lined greenbelt with a creek. Charming bungalow tucked away on a quiet cul-de-sac.